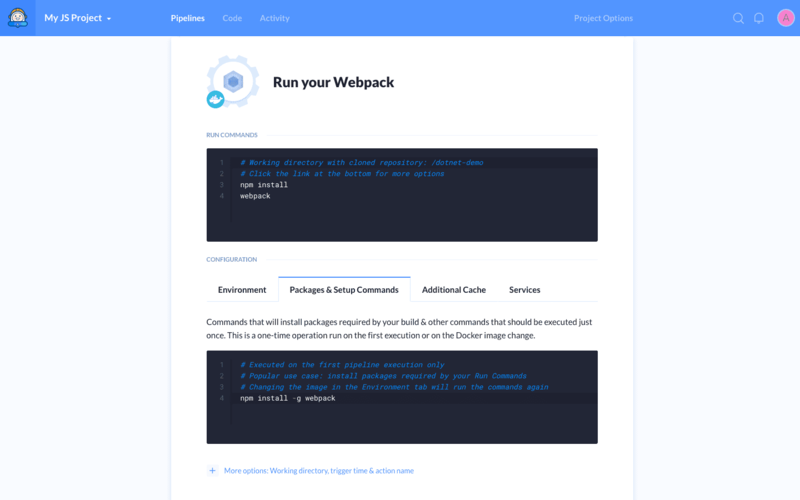 Webpack allows to split code into smaller parts which can be loaded asynchronically on demand. This feature is useful to keep the loading times short which is especially important for large projects. The tool’s functionality can be extended by the use of loaders that allow you to write custom tasks performed during the bundle.